Have you been browsing my amazing sponsors?? 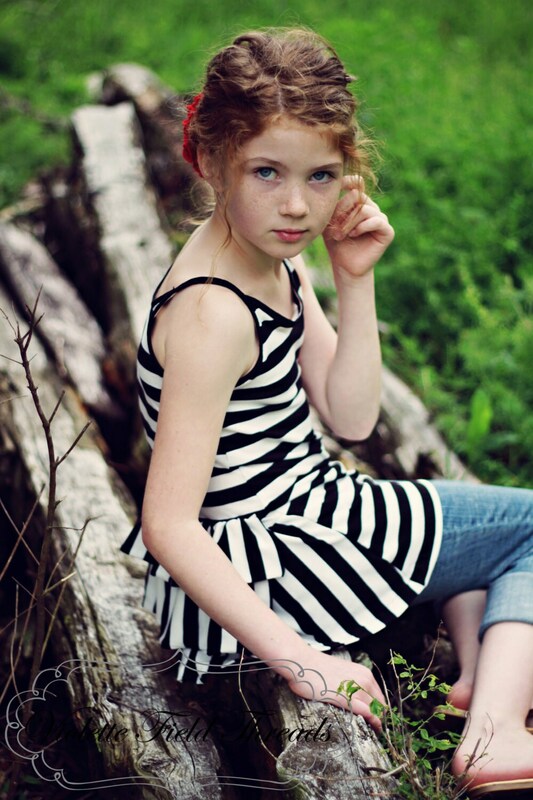 You’ve probably noticed Violette Field Threads – – super cute patterns!! And you’ve guessed right – – you get your chance to win an amazing pattern – wahoo!! UPDATE: Winner gets a “pick 3” pattern – – and there will be two winners – – eeek!!! UPDATE: – – – now, 2 ways to enter – – for a second entry, “like” Violette Field Threads on Facebook then come back here and leave a comment saying you did so. See, easy, right?!? Giveaway will end Friday, July 22nd, around noon. Good Luck!! Viola sweetheart dress ! How cute and very original- thanks for sharing! Love the Viola sweetheart dress! All of her patterns are adorable! I’d pick the stella one shoulder dress! so cute! Love the Violette Twirl Skirt. The sweetheart dress is tooo sweet! Great patterns! I have to say, i love all he patterns, the dresses, that bustle shirt, the flowers…. They are all so sweet. I’m drooling over the stella one shoulder dress! The Corinne flowers are adorable! LOVE Stella and the Lillian/Corienne combo too! I think the Penelope Double Ruffle Skirt is super cute! I want that Viola Sweetheart dress pattern. Actually, I want them all. Too cute! I want the Viola Sweetheart dress pattern. Wonderful! I would love the Lacy Ruffle Capri Pants pattern! I love all of these! So hard to choose. But I guess I would love to have the viola sweetheart dress pattern. That is just lovely! They are all so cute, but my favorite is the Viola Sweetheart Dress! After 3 boys I finally have a little princess to make dresses for, I can’t wait. Love the Stella dress! Would love to make one for each of my little nieces! Love that double ruffle skirt. Perfect for dressing my girls for a summer wedding in August! we would need the sweetheart dress! so sweet! I would choose the Viola Sweetheart dress! So cute!!! I love the Penelope Double Ruffle Skirt! So cute! Since my daughter has a million dresses and doesn’t “do” dresses, I would love a pattern of the Lucy ruffle capris. I would choose the Corienne Flower PDF Pattern. I like the one shoulder dress for sure!!! i “like”d her. No problem. Yay! I already like her on FB! Liked Violette Field Threads page in FB…. 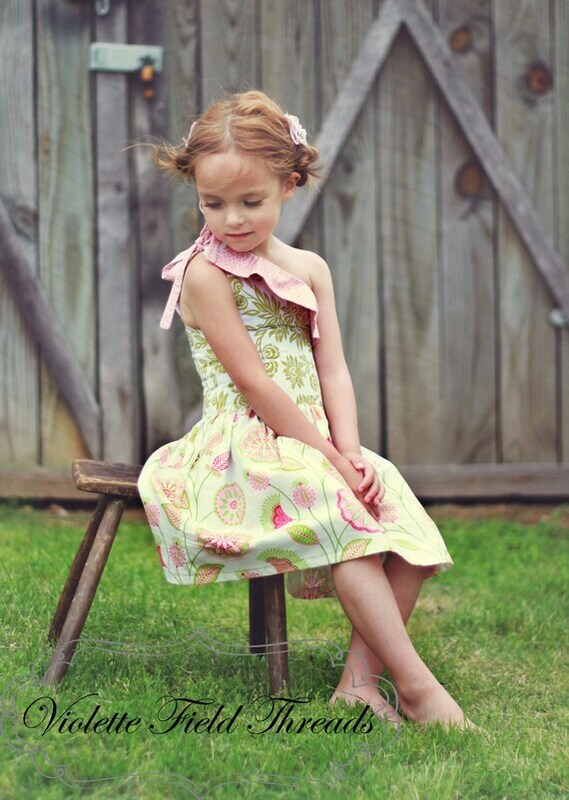 Loves all the patterns… Will pick Viola Sweetheart Dress PDF Pattern Tutorial if I win!! Awesome! Another chance to win!!! I like Violette Field Threads on FB and let a comment there! Violet Sweetheart dress for sure! I love the One shoulder stella dress pattern in her shop. I am having a hard time choosing between the Viola Sweetheart Dress and The Olive Bustle shirt. They are both so cute! The swishy skirt, the capris and the flower….for starters. the Stella one shoulder dress is cute! I am actually waiting on the new patterns! I have several of the others and they are fantastic! I love the Stella One Shoulder Dress and the Ruffled Capri’s! I just recently found Violette Field Threads and in fact purchased the Stella dress as well as some other patterns. I agree, the patterns are just perfect and although I haven’t had the chance to make one up, I think I’m already addicted! I want them ALL!!! I have a little girl who will be so happy with them! Now, I need to get down to JoAnn’s and grab some of the super cute summer cottons while they are still out and then keep my fingers crossed! … and I “LOVE” her on facebook too!